Some are confused between a eulogy and a church resolution. You may also want to view an example of a church resolution in our link below to see the actual words and language used. First let's take a look at some differences between the two. The eulogy is the focal point of a funeral service. It illustrates a picture of the deceased and personalizes the funeral service by sharing the memories with all who attend. The eulogy should help remember and affirm your loved one while giving value and honor to his or her character in the way they lived life and touched others around them. Because a funeral resolution is an official church document, you may be asked to write one by the church of the deceased. If the services are held in a church or they were a member or regular attendee of the church, a funeral resolution is generally required. The resolution is kept in the church archives and usually follows a specific format. Should you be asked to write a funeral resolution, a pastor or member of the clergy of the church may be able to assist you in what to include for the funeral resolution. The funeral resolution is specifically formatted and read at the church funeral service, it is also officially acknowledged by the church and family. 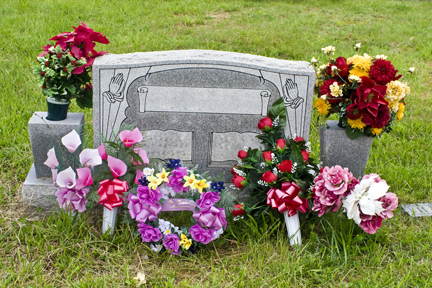 There are specific aspects and information that need to be included in funeral resolutions. The title of a funeral resolutions can contain example titles like "A Resolution of Respect for ...(the name of the deceased)" or "A Resolution in Loving Memory of..." (the name of the deceased). It is then followed by a short introduction of faith by acknowledging their relationship with God, followed by a biblical selection reading and appropriate funeral hymn. The next items that are included are the "Whereas Statements" which help explain the decease's relationship with God, service to the church, community, and support to their family. Each of these items noted are preceded by the word "Whereas." Lastly, you must include details as to what the resolution is, who will be involved, when, where and how it will be resolved. These statements begin with "Therefore be it resolved..." or Be it further resolved..." prior to the details. It is best to check inquire with the church to determine what type of format they require. There may be some churches that don't require a resolution to be so formal and will accept a resolution that is similar to a eulogy. In any case, the church will be able to provide you with further guidelines on how to write the funeral resolution. Some congregations may even have pre-formatted funeral resolutions. You may want to conclude with a short comforting statement to the family stating of their loss and that the deceased in a place of peace and rest. Click here to see more samples and information on sample of a church funeral resolution, or a church resolution of a deceased member. You can note specifically when the church resolution will be read within the funeral programs which are distributed to all attendees. You may also want to consider our award winning funeral program templates to help facilitate the creation of these keepsakes.